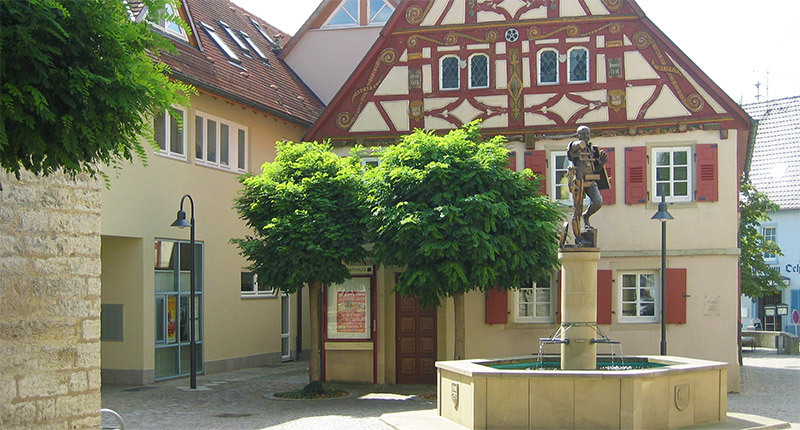 Located within the idyllic Jagsttal (valley); Götzenburg, Rotes and Weißes Schloss (red and White castle), castle museum in the Götzenburg, Museum “Beständige Begleiter” (constant companions) in the old town hall, open-air museum “Römerbad”, annually changing sculpture exhibition and the Burgfestspiele with the play “Götz von Berlichingen”, musicals, a children’s play, concerts and guest performances – all this invites Jagsthausen’s visitors to stay for a while. Friedrich-Krapf-Museum in the old town hall (exhibition “Beständige Begleiter” – constant companions): the main focus has been put here on the importance of earthenware to the life of the people in Roman times. 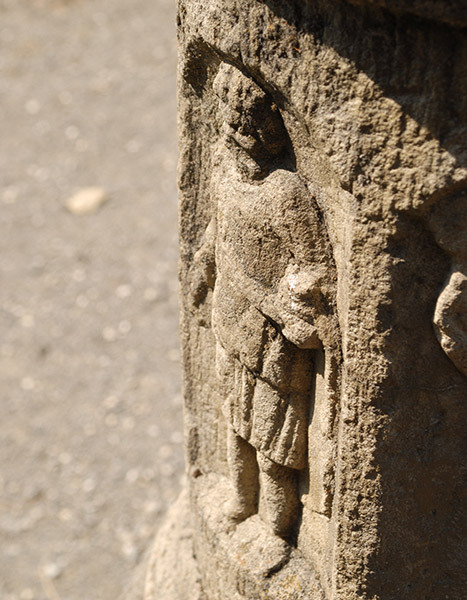 Different areas of everyday life of the Romans are vividly presented. Illustrations, texts and video clips explain the use of everyday objects and thereby give an insight into Roman life around 200 A.D. In the 18th century the Berlichingen family started to gather their family’s artefacts in an archive in Jagsthausen. Possibly as a result of seven years of war there was an awakening of national awareness, which Goethe’s play "Goetz of Berlichingen" dramatizes. Franziska, Baroness of Berlichingen, was delighted to acquire the iconic ‘Iron Hand’ mentioned in the play, which was by then in the ownership of another family. She gave the hand to Count Joseph of Berlichingen, and it became part of the family collection again. The Count decided that all the family artefacts should remain in safe keeping and the property of the whole family forever. The castle lies in the middle of the Roman fort of Jagsthausen. Through family interest and the foresight of the inhabitants of Jagsthausen, many Roman finds from the vicus and fort have become part of the Castle Museum’s collection up to the 20th century, as well as artefacts from the family’s history such as ‘the iron hand’ and other mementos of Goetz of Berlichingen. Open: On request accessible within guided tours. Open-air museum on the site of the second fort bath-house (socalled archaeological reserve). The foundations – as far as known – have been conserved in a park. Display boards and artificial Stone casts of important inscriptions and images from Jagsthausen and the region provide Information about the military base (cohort fort and civilian settlement). 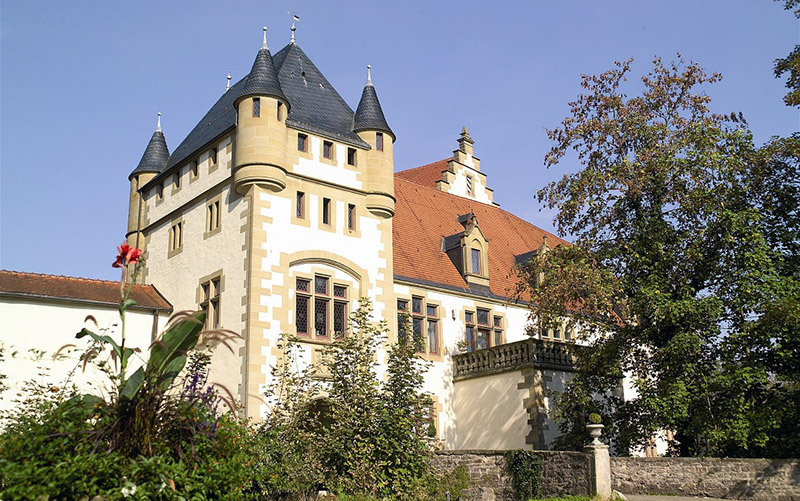 Castle museum in the Götzenburg: small Roman finds, inscriptions and picture stones. The exhibition presents a collection of Roman pottery showing it to be the constant companions for people in their daily life. The exhibition explores several parts of daily Roman life and the function of pottery, using illustrations, video and written information, offering an insight into Roman life in 200AD. The collection was conserved and archived by Gerhard Krapf, who inherited it from his father Friedrich. The Krapf family presented the collection to the museum as a permanent loan so it can be shared with the public, and be a memorial to the collector.